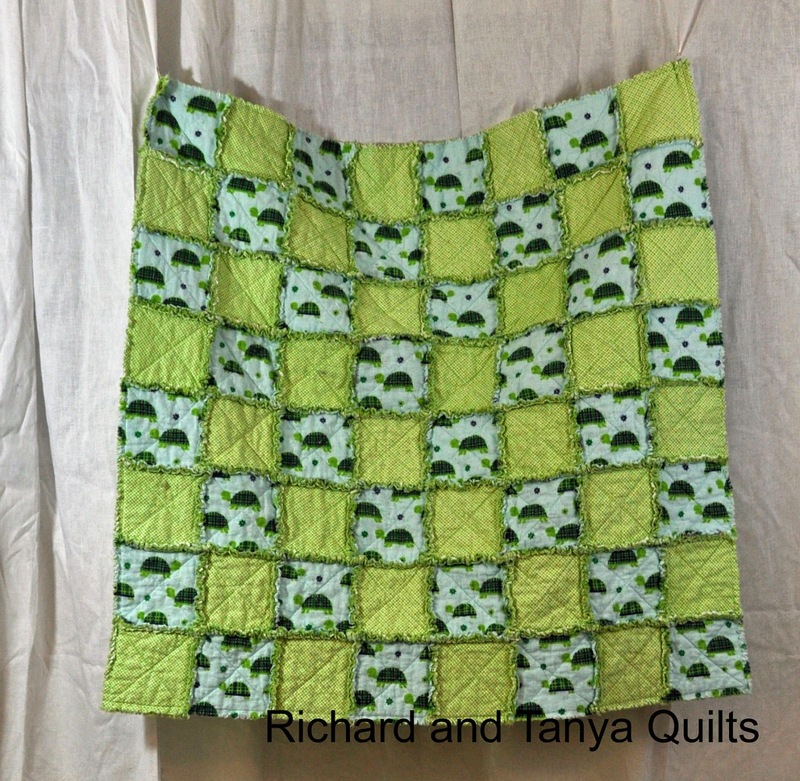 Today I would like to share a new cute rag quilt from Tanya. 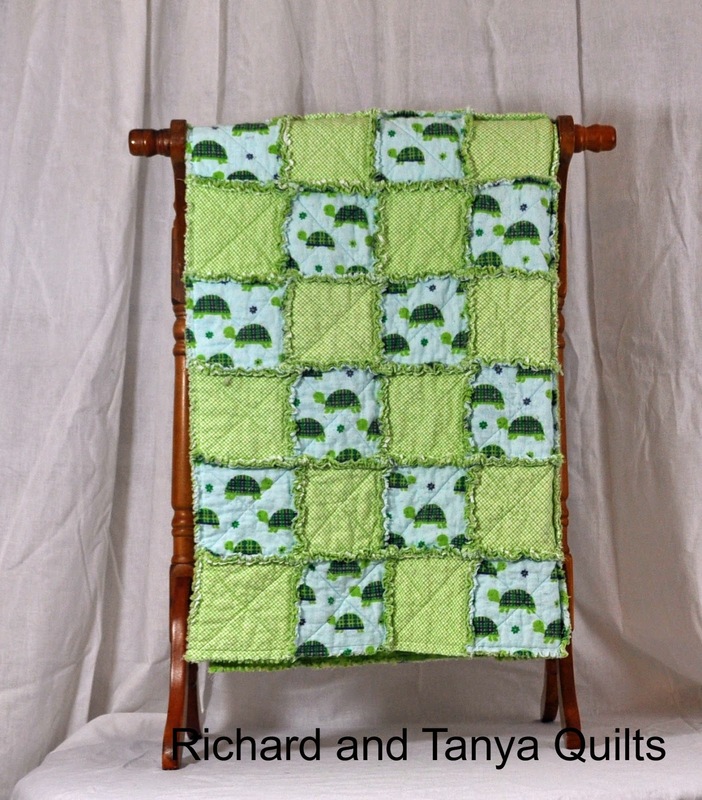 This adorable quilt in green (I think of it as Jared's color). The thing I like most about rag quilts is how simple and adorable they are. Out of all of the quilts we make to give away or sell the bulk of them seem to always be rag quilts. 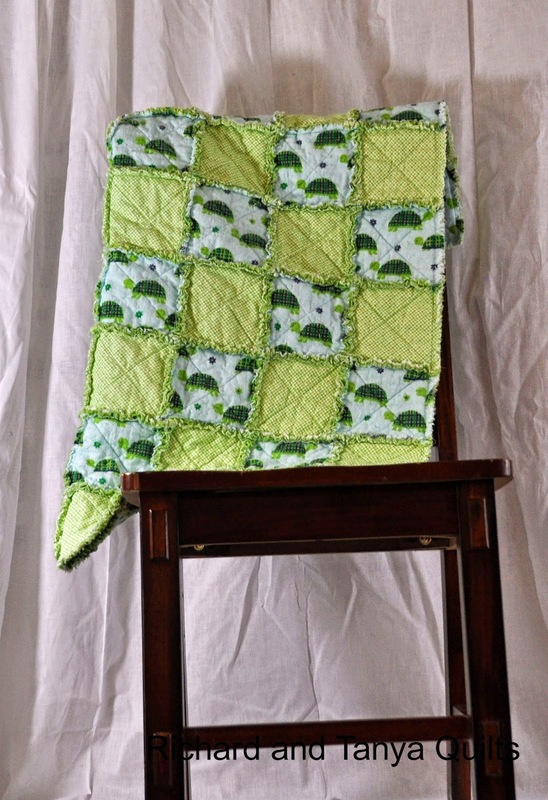 We sell our Rag Quilt Pattern on Craftsy. If you would like a free copy of it hop on over to Craftsy and comment on the pattern there or like it, or follow me on Craftsy. Make sure to comment here on the blog or email me so that I can send you the pattern. Speaking of Craftsy they are having a giveaway that I would encourage you to enter. 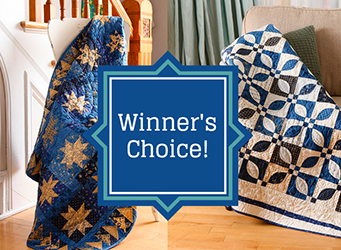 One lucky winner will get their choice of material and patterns (including backing material) to complete one of the 2 pictured quilts. The choice is yours. Simply follow this link to enter and have a chance to win. Only residents of the U.S. and Canada are eligible to enter. Entries are open until August 27 and they say a second giveaway on the 22nd. If you want this quilt you can also pop over to Etsy and buy it. Tanya lists these quilts for a killer deal. 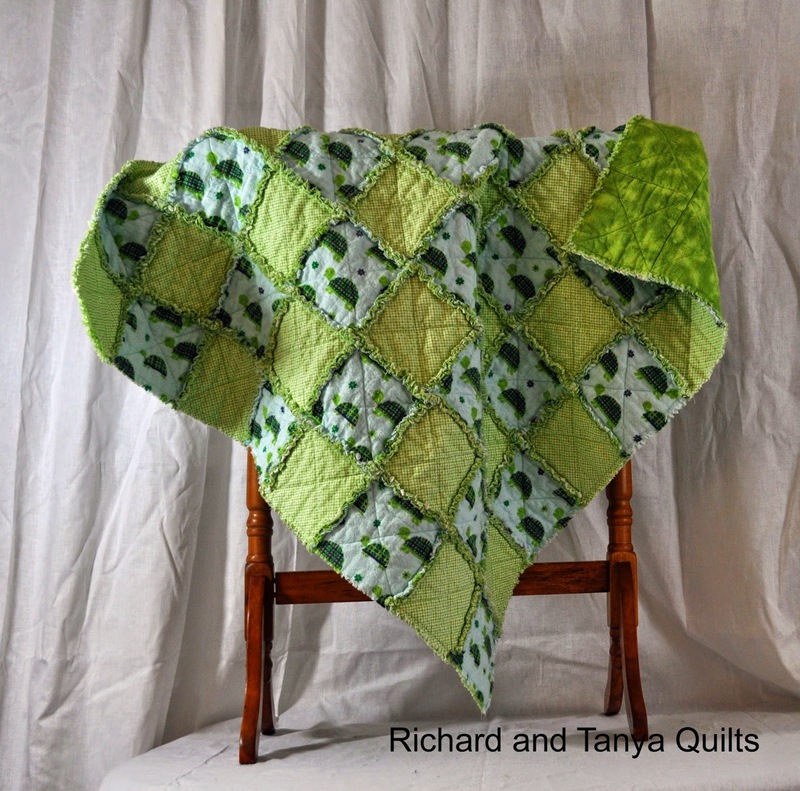 Raggy quilts are such fun to make! Such a cheerful little quilt! I like turtles.